We asked one of our clients to give us their impressions during a China factory visit during a buying mission recently. Read below to see how they felt during this trip. This is one of a series of blogs that we title: Buyer Diary. Having staff on the ground is key for ODM to monitor production lines during production. 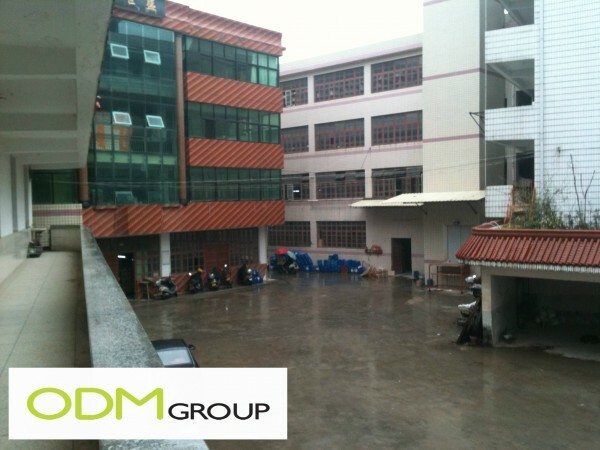 China factory visit allows us to conduct a follow up for factory audit. Not only that, it also improves our relationships with the China factories. Maintaining good relationship with China factories is important, as discussed in the Buyer Diary #1. Besides, going on China factory visits allow us to understand the different processes of promotional products manufacturing. 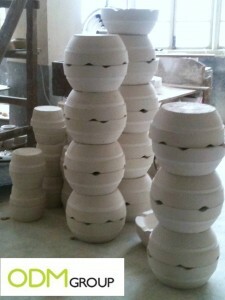 Each beautiful porcelain item distributed by ODM takes at least 14 days to manufacture. The term porcelain refers to a wide range of ceramic products that have been baked at high temperatures. Among the most common porcelain goods in the market are tableware and Chinaware. The porcelain molding process is an easy production method which guarantees the precision and a good surface finish. As preparation, every mold is cleaned to ensure that they are completely dust free. Every mould consists of two pairing pieces. The two pieces are banded together tightly. After the preparation is done, the porcelain mix is poured into a small opening at the top of the mould. The porcelain mix is allowed to set for around 4 hours. Afterwards, the two pieces of the mould is separated. The porcelain piece inside the mould will then be removed. It’s interesting to note that each mold is only used 15 times before being discarded by the China factory. Fresh moulds will replace the old ones. This way, we can ensure the precision of the product. The porcelain piece takes 10 days to dry. During the drying period, the product slowly changes colour. From its initial greenish colour, it will become lighter before turning grey and very dark cream in the end. Now it is ready for the final purification process. 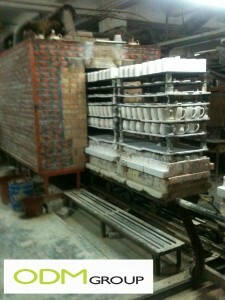 It is during the kiln firing process that the colour of the porcelain turns white. This is a result of the correct ingredients of the porcelain mix at a sustained level of extreme heat. The products are put inside a kiln oven. After a fixed period of time, the kiln oven and the products are allowed to cool down. 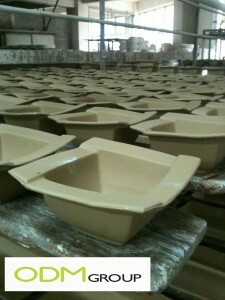 After this step, the porcelain products are ready. Особое место занимает контроль качества. Именно контроль качества способствует правильному использованию объективно существующих, а также созданных человеком предпосылок и условий для выпуска продукции высокого качества.